THE Zimbabwe National Roads Administration (Zinara) has retrenched at least 49 workers, among them top managers, as part of measures to cut down on administrative costs. Zinara board chairman Albert Mugabe confirmed the development, saying the move was aimed at reducing labour costs as well as right sizing the company so that it remains profitable. “I can confirm that we’ve relieved around 49 workers of their jobs because we had a heavy management which was unsustainable hence you find that a big chunk of management was also affected,” said Mugabe. “The millions that we’re generating are woefully inadequate for our mandate to maintain and repair our roads which require billions and so the little that we have should go into the roads as it isn’t intended to cover administration costs only”. He said the retrenchment exercise was part of Zinara’s measures to bring down administrative costs. “In fact, we were hanging precariously with regard to the ratio of our permitted limit of administrative costs to revenue collected yet our scale of operations is somewhat depressed. It’s important to note that the reduction of the number of employees is just one of a raft of measures that we’ve instituted to ring in our administrative costs,” Mugabe said. More firms continue capitalising on a recent Supreme Court ruling that allows employers to terminate contracts of employees upon issuing three months’’ notice with the latest being National Railways of Zimbabwe (NRZ), Air Zimbabwe and Meikles. On Friday, NRZ retrenched 500 workers while Air Zimbabwe was said to be consulting on how to fire more of its workers. NRZ board chairman Engineer Alvord Mabena confirmed that the parastatal was in the process of retrenching but said the laying off of workers was not based on the recent Supreme Court ruling. It is reported that NRZ is targeting to fire 1,500 by the end of the exercise. The recent Supreme Court ruling has opened a floodgate of dismissals with top companies such as Econet Wireless and Monarch, a subsidiary of Treger Products, firing a significant number of employees. Media groups such as Alpha Media Holdings, Associated Newspapers of Zimbabwe and the Financial Gazette have also followed suit. Two Zuva Petroleum managers, Don Nyamande and Kingstone Donga, whose case spawned the Supreme Court ruling, have since filed an appeal at the Constitutional Court challenging the judgment. They are challenging the constitutionality of the law used by the Supreme Court in throwing out their appeal. Chief Justice Godfrey Chidyausiku and four others, sitting as the Supreme Court’s full bench, last month dismissed an application by Nyamande and Donga on the basis that the common law rule that places the employer and the employee on an equal footing was still valid. The court held that Section 12B of the Labour Act did not abolish the common law position hence the employer had the entitlement to terminate employment on notice the same way workers do whenever they leave employment. On Wednesday last week, President Robert Mugabe said the government wanted to protect workers from indiscriminate dismissals. Cabinet’s Legislation Committee last week approved the draft amendments. Over 16,000 workers have been fired since the Supreme Court ruling early last month. Public Service, Labour and Social Welfare Minister Prisca Mupfumira said: “We now have the Draft Bill and (this week), this Bill will be presented before the full Cabinet. If approved, the Bill will then be tabled before Parliament. It should be understood that we’re expediting the process, putting in as much work as we can so that we follow due legal process. 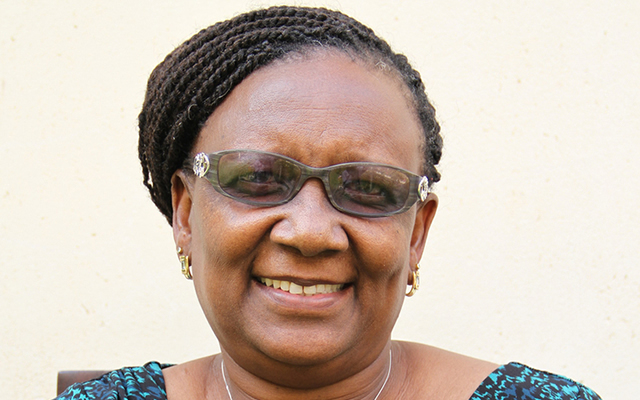 Minister Mupfumira said her ministry had engaged labour and employer representatives and discussions would continue under the auspices of the Tripartite Negotiating Forum. Meanwhile, parastatals and State-linked enterprises have joined the bandwagon of firms that are firing employees upon issuing them with three months notices following a recent Supreme Court ruling permitting that. Information gathered yesterday showed that most parastatals offloaded an undisclosed number of employees last week. Zinara confirmed that it had laid off about 50 employees while the Central Mechanical and Equipment Department (CMED) also dismissed almost 200 employees last week. A letter signed by the acting CMED managing director, Tambirai Nhongonhema to the dismissed employees reads: “This letter serves to inform you that the business has decided to terminate your employment contract on notice. This is not a dismissal but rather the exercise of our right under common law, which allows either party to terminate the employment contract on notice. The National Railways of Zimbabwe was also reported to have fired more than 500 employees, but the company’s public relations manager Fanuel Masikati, declined to comment on the matter. Air Zimbabwe and Zimpost were said to have served an undisclosed number of employees with contract termination letters. The national airline’s acting chief executive Edmund Makona, yesterday was not answering his phone to clarify the matter. Labour expert Rodgers Matsikidze yesterday said even if the law was to be amended there would be no recourse for those who have already been affected. He said it was imperative for the government to intervene by way of a Statutory Instrument like what happened in the case of PSMAS. “Those people who’ve been dismissed have gone just like that,” he said. It is understood that more 16,000 people have lost their jobs since the Supreme Court ruling of July 17, and trade unions are appealing for a presidential decree to stop the unilateral sacking of employees. The government has appealed to companies to exercise maximum restraint, while the Labour Act is being amended.